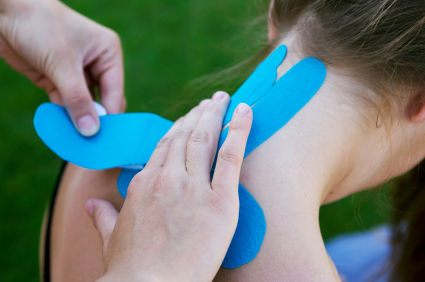 In recent years, kinesiology taping have become popular among professional and collegiate athletes due to its pain relieving and performance benefits. Kinesiology Tape provides an effective method to improve muscle function, enhance blood circulation and neuromuscular activity. Kinesiology Taping is also used in rehabilitation to help healing and rehabilitate muscle, tendon and ligament injuries. We only use high quality kinesiology tape that doesn't fall off after a few hours. The kinesiology tape is comfortable to wear, does not contain any medication, and may be comfortably worn in wet environments such as the pool or during activies that results in heavy sweating.